Earlier Apprising Ministries showed you that Dr. John Piper Ok With Old Earth View, which puts him further at odds with his friend Dr. John MacArthur. the fact remains that Adam certainly had many features associated with maturity. He wasn’t created as an embryo or an infant. He was a fully-grown man. There is no reason to doubt that he had normal adult features; he certainly would have had fully developed muscles; and we know he was created with enough knowledge to tend the garden, name the animals, and talk with God. Without any growth, history, or experience, he was still a mature adult man. Suppose a modern scientist could travel back in time and arrive in the garden moments after Adam’s creation. If he examined Adam, he would see adult features (perhaps a navel, calluses, or smooth edges on his teeth—or at the very least, an adult frame and musculature). If he could converse with Adam, he would find a man with adult knowledge and fully-formed language skills. But if he interpreted those things as conclusive proof that Adam was more than one hour old, he would simply be wrong. When we’re dealing with things created ex nihilo, evidences of maturity or signs of age do not constitute proof of antiquity. And what if that same time-travelling scientist did a botanical study of a newly-created oak tree? He would observe the size of the tree, note the tree’s fruit (acorns) and probably conclude that the tree itself was many years old. What if he cut down one of the trees to examine its growth rings? Would he find growth rings inside, indicating that the tree had been there for many seasons? Why not? Those rings of xylem and phloem are not only signs of the tree’s age, but they also compose the tree’s vascular system. They are essential to the strength of a large tree as well. But if our imaginary scientist concluded on the basis of tree rings that the tree was 90 years old, he would be wrong again. The garden itself was created mature, fully functional, and therefore with the appearance of age. The garden was no doubt filled with creatures that had every appearance of age. On day seven, when the Lord rested from His labor, everything was fully mature and fully functional. The eagles soaring overhead might appear to be 30 years old, but they were less than a week old. Elephants roaming around might have had full tusks and appeared to be 50 years old, but they were merely one day old. Any mountains, rivers, or other geological features probably also appeared to have been there for some time. There were no doubt beautiful waterfalls and canyons, and other features that the typical geologist would surmise had been formed by several ages of wind and water or volcanic eruptions and earthquakes. But the fact is that they were all made in one day. And when Adam looked up into the heavens and saw that incredible expanse with millions of bright stars, he was seeing light from millions of light years away—even though those stars had all had been there less than four days. The light he saw was itself part of God’s creation (Genesis 1:3). We certainly expect people who reject Scripture and despise God to accept the notion that the universe has existed for aeons and aeons. For obvious reasons, they want to eliminate every supernatural explanation for the origin of humanity. They don’t want any binding moral law or omnipotent Judge to whom they must be accountable. So of course they embrace the naturalistic theories of evolution and an ancient earth with great enthusiasm. 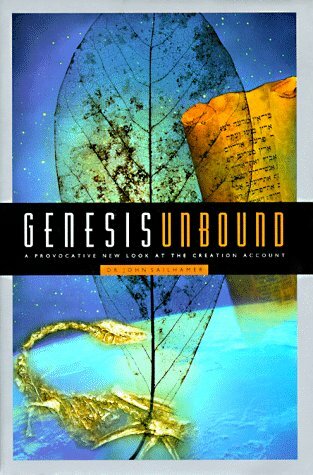 That’s why it’s surprising (or maybe not) that over at Apprising Ministries we read today that this same book has convinced John Piper to take an ‘old earth’ gap position on creation. Sadly, this type of thing from Dr. John Piper is having the effect of making some otherwise fragile associations even a bit more fragile; especially with his unfortunate decision to bring in, as the keynote speaker, Purpose Driven Pope Rick Warren for the Desiring God Conference 2010 as the keynote speaker. RICK WARREN TEACHING THE LAW OF ATTRACTION?